Bob Pattie's Chicago Six- May 26th. Sunday 1.30 pm to 4.30 pm. 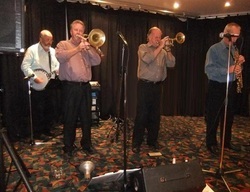 In May, we have gone to Sunday afternoons for our great trad jazz. Come along and have a wonderful day with Bob Pattie's Chicago Six May 26th. 2013 Sunday 1.30 pm to 4.30 pm. 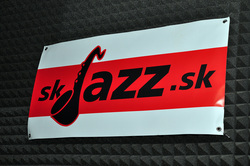 Welcome to our new website, a piece of history for our Jazz Club, entering into the Eworld. We reach out to the world to help us celebrate the occasion and join with us in listening and enjoying some fabulous Traditional Jazz. Please pass on your comments to us, we look forward to hearing from you.